When you run a business, reining in your costs is everything. I use books a-plenty in my work, and getting the book budget under control has involved a special secret weapon: An initiative called Books for DC, linked to the holdings of the DC Public Library. It's not a huge solution, just a small bit of thoughtful code. But for me, it makes a difference. My teenage and college break jobs were all in a public library and I'm a longtime customer of the DC library. But I've become a more frequent user in recent years, prompted by the high cost of some of the academic tomes I need for research--all priced to be the lone copy in some university library. Even if I were only buying bestsellers, the costs would still rack up. 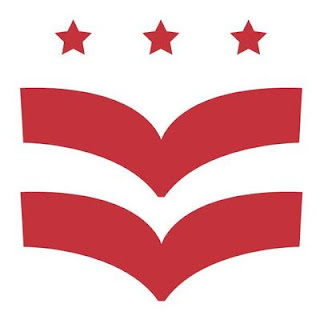 Books for DC makes it easy for me to figure out whether a book's available to me for free. Books for DC was a project of Emanuel Feld via Code for DC, so it's not run by the library itself. It has a simple mission: To make DC library books known to users on the platforms where they are already hanging out. So it's on Twitter to share new catalog holdings, and offers recipes on IFTTT for email updates on newly added books weekly or daily. It's a smart strategy: Although millennials are out-reading their elders, they don't use library services as often. Most useful to me is the Chrome extension for Books for DC, which creates an overlay on Amazon, Barnes & Noble, and Goodreads. When I search and find a book on those sites, I get an incorporated box that auto-generates a search within the DCPL catalog for the media I might want, including (if I choose) books, ebooks, or audiobooks. Available books or media give me a link to the catalog, where I can quickly login to my account and put a hold on the book, designating which library will be my pickup site. Just this morning, I wanted an expensive collection of speeches, a book to which I need to refer but don't wish to own. Sure enough, it's in the library, and Books for DC made that info instantly available to me. I must add that it's DCPL's own excellent website that provides the base on which this builds. To keep up with new acquisitions--and get my holds placed ASAP on new books--I use an IFTTT recipe that sends me a weekly email of Books for DC's tweets about new items. Each tweet has title and author info with a link to the book on the library site. You might not be in Washington, DC, in which case, I urge you to check on whether your library system has had any coding love like this--and if not, why not contact them and put them in touch with someone who can make such a system for them, using Books for DC as an example? Your book budget will thank you. If you need more inspiration, read A Library Convert: How Much I Saved in 2016 by Breaking Up with Amazon.